Ellsworth and Dorothy posing near the state capitol. They both attended the Capitol Hill Ward in 1932. One of the most fascinating things about my grandparents is studying their relationship dynamic—especially their courtship years. 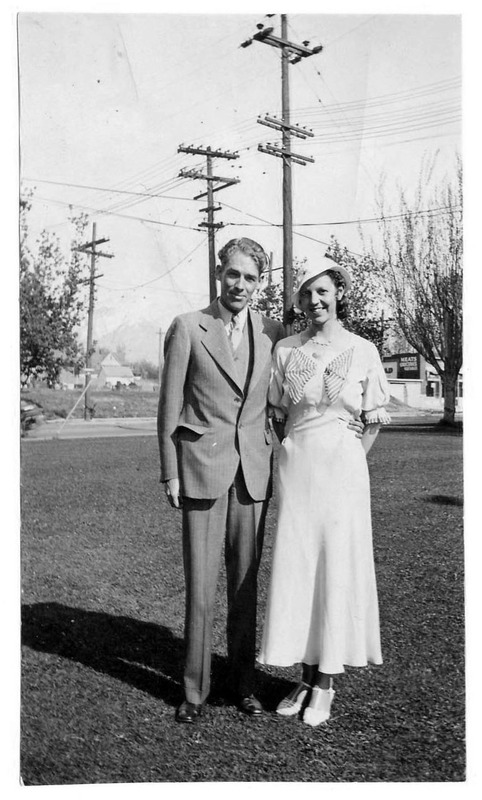 Dorothy Smith and Ellsworth Clark dated for about two years in the early 1930’s while attending the University of Utah. Theirs was a protracted, sometimes bumpy affair marked with with long absences when Ellsworth spent summers home in Idaho working the hay fields or selling suits with his father. Even when their engagement became official, Ellsworth left—at Dorothy’s suggestion—for a six-month Western States mission. This proved fruitful ground for angst-filled letters filled with both doubt and devotion. Among all the letters my grandma saved, there are a number of poems from their courtship. 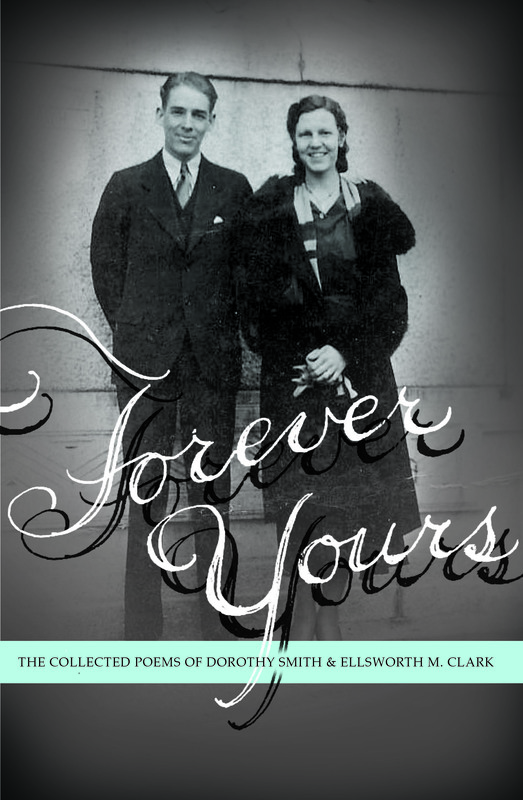 Because Dorothy seems to have thrown out some of the letters she wrote (there are significantly more letters from Ellsworth in the collection), these poems help tell a fuller picture of their courtship. In reading them, I am struck how in such a relatively short time in history, love letters and poems have devolved into texts, selfies, and tweets. In all that we have gained in convenience, we have lost the ability to communicate intimately and thoughtfully. Modern convenience has robbed our minds of time spent waiting, yearning, forming thoughts, and pondering. We recently published the entire collection to make available to the family. One of the most wonderful by-products of this effort is seeing her great-grandchildren connect with these poems, and even set some of them to music. Here are a few selections from their collection, with Ellsworth’s first foray into poetry appearing just weeks into their courtship. This is my very first attempt at poetry. I know it does not rhyme, and the meter is wrong in places, but well, don’t show it to anybody. It just happened to be the way I felt a little while ago. It seems good to get back to my typewriter. ‘Twas strewn with souls both good and rife. My path had been both straight and sure. By good example, made more sure. It grew more rough and widened more. No voice to tell me where to stand. I traveled North in search of Strength. I sallied South more truths to learn. To get the gold to help me on. And thereupon my life make sure. Or be content with nothing noted. My quest was started with a full vim. I studied hard, then I grew thin. I thought I loved a girl—then near. But later learned—she was no dear. To fight off every little whim. Which sets it off is right good trim. And made my schoolwork fairly hum. But life seemed empty—What! No goal? I was traveling fast—but where? A party, a dance, a friendly word. She came like morning fresh and sweet. The days passed on. I saw her often. To get to see her I used ruses. She hurt me once, ‘twas soon forgotten. And I found her sweet; enthralling. Now I’ve found a goal in life. Instilled by thoughts she says so freely. I hope to find my child of “Morning”. It is interesting in the following poem to see this side my grandma, since I only knew her in her older, more conservative years. The warmth of your breath upon my cheek? So many things you failed to speak. The pressure of firm lips on mine. To drench my heart in lovers’ wine. One more the bat of your heart on my breast. That soothes my longing soul to rest. Wonder and wait for the break of day? To bask in the dawn of Love’s New Day? 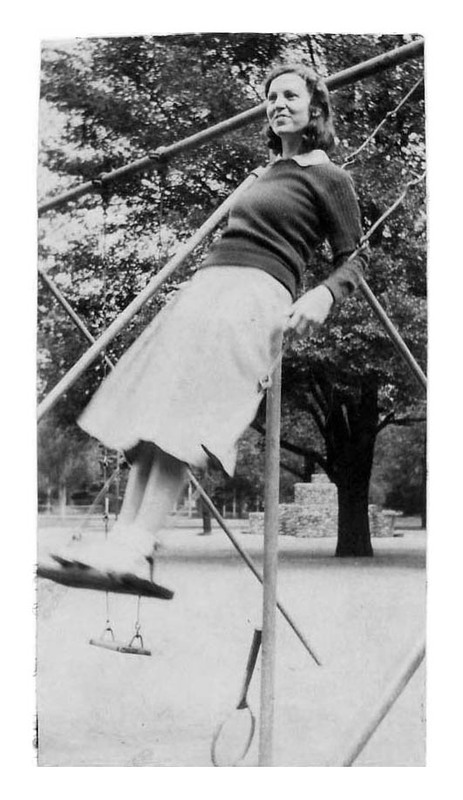 Dorothy, after a tennis date with Ellsworth in Pioneer Park. Again, from Dorothy very early on in their relationship—with a very hopeful prediction. I see great things in store for me and you. 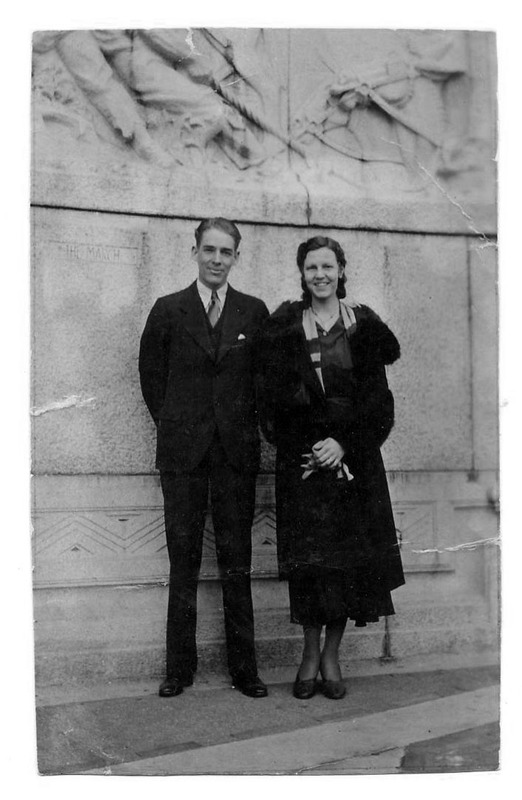 An early dance picture of Ellsworth and Dorothy. Following is Ellsworth writing to Dorothy while home in Idaho. They had been dating on and off for about 7 months. This poem—and others—hint at Dorothy’s teasing nature and the presence of other suitors for Dorothy. The portals of my window. For your puzzling, lovely face. Oh, Jeanne, ‘tis lovely in this place. Of chance—a rosy bed of rocks. Will search her out in land of dreaming. Ellsworth follows a few days later with a humorous and pointed verse, still smarting from an undisclosed hurt. The grief that’s in my soul. The air will seem less chill, less bare. That people call my heart. A maiden caused it so. Haw! Into a hole I’ll go. I’m wedded to the soil. All females of their kind. ‘Tis but a saccharine ware. She’ll hang her man. Ah! Little hope. Written the day of our Lourde 1933 upon the 6th day of January while in complete health and in sanity of mind. 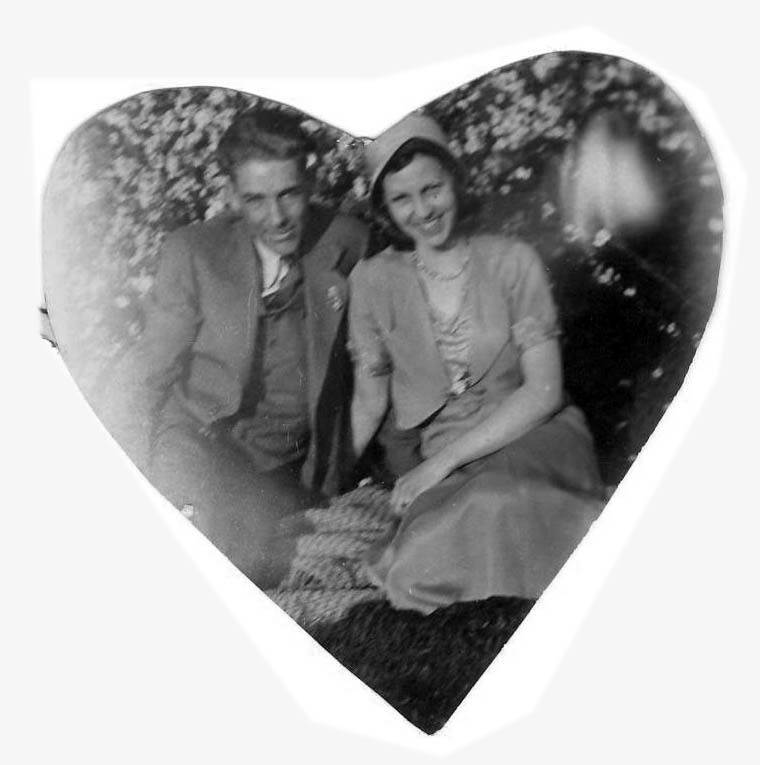 Ellsworth and Dorothy, around the time of their engagement. Another one from Ellsworth, slightly more optimistic. So I’d come out and find you dear. Because you’re not here ringing. And kiss you quick, “no foolin”. To talk and to confide. We see now Dorothy coming around. This was close to the time they became officially engaged, and perhaps is a description of the event itself. Who should chance to wander there. Filled their hearts with love’s own wine. Bade them love’s sweet gifts to share. Love’s paradise had blossomed there. Dorothy wrote this poem shortly before their marriage, and is a lovely glimpse into her feelings for Ellsworth that have been fully realized. And for adding to the music in and by your listening. Not a tavern but a temple life. Could have done to make me happy. Without a sign, without a touch. And perhaps that is what love means after all.